Fink, L. Dee & Fink, Arletta Knight (Eds.) (2009). 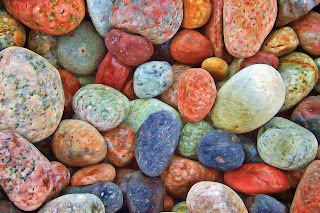 Designing Courses for Significant Learning: Voices of Experience. New Directions for Teaching and Learning, Number 119. 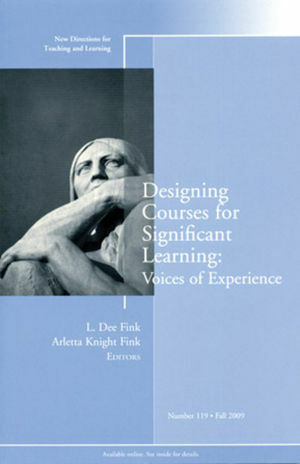 This book is a collection of exemplary teaching and learning experiences based on the application of Fink’s (2003) vision for significant learning experiences through Integrated Course Design (ICD). The 12 well-written chapters in fewer than 115 pages make the book comprehensive for its size. The ten specific teaching and learning experiences (one per each of the first ten chapters) span the natural sciences, social sciences, humanities, and professional programs. Most are in undergraduate settings, but community college, hybrid and graduate courses are included, as well as a curriculum project. Each chapter addresses with enough detail the (re)design of the course for the desired change in learning, an assessment of the changes, and the overall lessons learned in the application. In most instances, assessment is based on more than one iteration of the course or project. Chapter 11 is about three new ideas based on Fink’s experience with his model. More importantly, the last chapter is a comprehensive evaluation of the collection of experiences in the previous chapters framed by three questions: (1) Can it be done? (2) What does it take to make it happen? (3) Will it benefit us, the teachers, as well as our students? There is also an index, which would be most useful to those who have read at least two chapters in this book and to those who are already familiar with the ICD model. Reading Fink’s (2003) work is not a prerequisite to reading this book because his key ideas are covered in the preface, as well as reiterated succinctly in each chapter. The chapters can be read in order one sitting at a time, selectively (after reading the preface), or in a couple of sittings. I recommend the first option to allow time to reflect on each experience. Truth be known, I found myself making two sets of notes: one for this review and one to flag examples and ideas that could be applied in my courses. (Notably, none of the experiences are in my discipline, an indication of the broad applicability of each experience.) Further, there are many very good approaches to assessment of the merits and shortcomings of each experience; although the authors are enthusiastic about applying Fink’s model, they are not pollyannish. Beyond the plethora of good ideas one can glean from this book, this balanced approach is another reason why discerning educational developers and faculty members should read it and share it with their colleagues. Proponents of Fink’s ICD model are certain to advocate that educational developers and faculty members use this book to apply the ICD model in its entirety to create and redesign courses and curricula. Clearly, the book contains carefully selected examples of teachers who were inspired to apply the ICD model in its entirety, had the resources to do so, and were successful. While most of the reported experiences were not resource guzzlers (even the resource of faculty time ranged from low to moderate), course and faculty circumstances (in other words, the academic context) can delay or impede total immersion in the ICD model. Nevertheless, both new and seasoned teachers may be surprised to learn how easy it can be to adopt the ICD model in a modest way with impressive results for learners and teachers. If you are so inclined, Fink’s Self-Directed Guide for Designing Courses for Significant Learning can be downloaded free of charge from the Internet. Still wondering if this book is worth reading? If you want students to share your enthusiasm for your discipline; loathe the thought of students cramming for exams and retaining little; wince at ineffective group work; respect students’ diverse learning styles; want students to learn more than foundational material; want to increase student engagement; wish that students would see the connections among courses; and/or are simply searching for a fresh approach to your own and students’ learning, you will be inspired and energized by the experiences reported in this book.